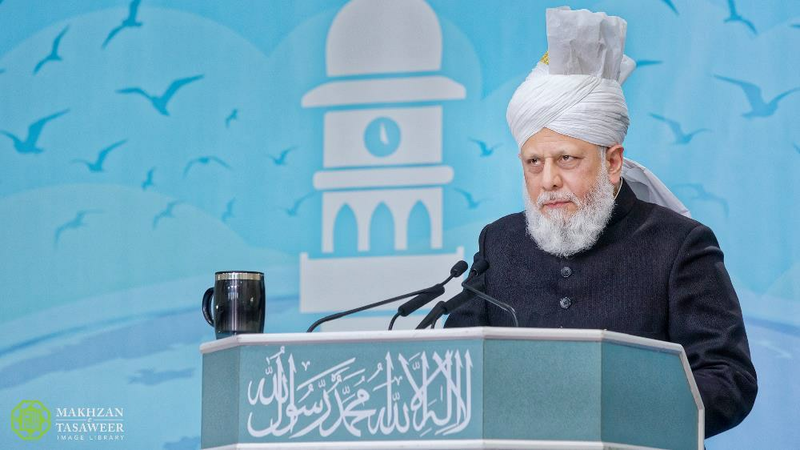 On 25 February 2018, the World Head of the Ahmadiyya Muslim Community, the Fifth Khalifa (Caliph), His Holiness, Hazrat Mirza Masroor Ahmad addressed the concluding session of the UK National Waqf-e-Nau Ijtema (gathering), an event held for male members of the Ahmadiyya Muslim Community in the UK who have pledged their lives for the peaceful service of Islam. 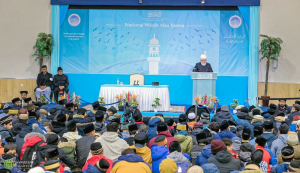 The event took place at the Baitul Futuh Mosque in London and was attended by more than 1600 people, including over 1,400 members of the Waqf-e-Nau scheme. During the address, His Holiness spoke of the high moral values Waqf-e-Nau should aspire to attain in order to bring about a moral and spiritual revolution within themselves and the wider world. In order to achieve the spiritual revolution and help spread the teachings of Islam, His Holiness emphasised the need for Waqf-e-Nau to join Jamia Ahmadiyya, the Ahmadiyya Muslim Community’s college for training Imams. His Holiness added that those in other fields also had a duty to increase their religious knowledge by studying the Holy Quran, the sayings of the Holy Prophet Muhammad (peace be upon him) and the books of the Founder of the Ahmadiyya Muslim Community, Hazrat Mirza Ghulam Ahmad, the Promised Messiah (peace be upon him). During the address, His Holiness said that a significant proportion of non-Muslims had misconceptions and concerns about Islam, which the Waqf-e-Nau should strive to eradicate and that they should join efforts to show that Islam is a religion of peace and compassion. 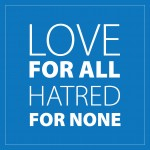 His Holiness also said that Waqf-e-Nau should have an exemplary relationship with Khilafat-e-Ahmadiyya. 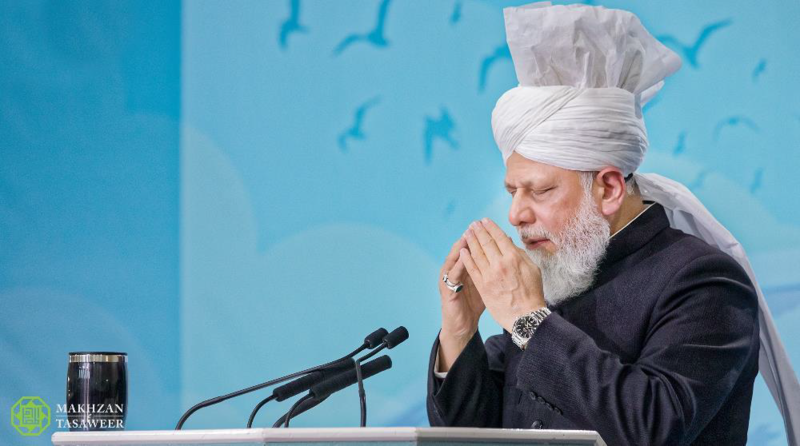 His Holiness said that Ahmadi Muslims should view the Holy Quran as the “guiding light at all times” and base their decisions on the teachings of Islam. His Holiness stated that the Waqf-e-Nau are the ‘future ambassadors’ of the Ahmadiyya Muslim Community and so should set the best examples from childhood for others to follow. Earlier, various workshops, academic competitions and discussions took place during the Ijtema.